This event is celebrating the National day of Disable people and Disability History month. We have worked with young people from Marjory McClure school to facilitate this event. With inspirational disabled speakers and local talent acts too. The event aims to inspire local disabled people and make them proud to be disabled. 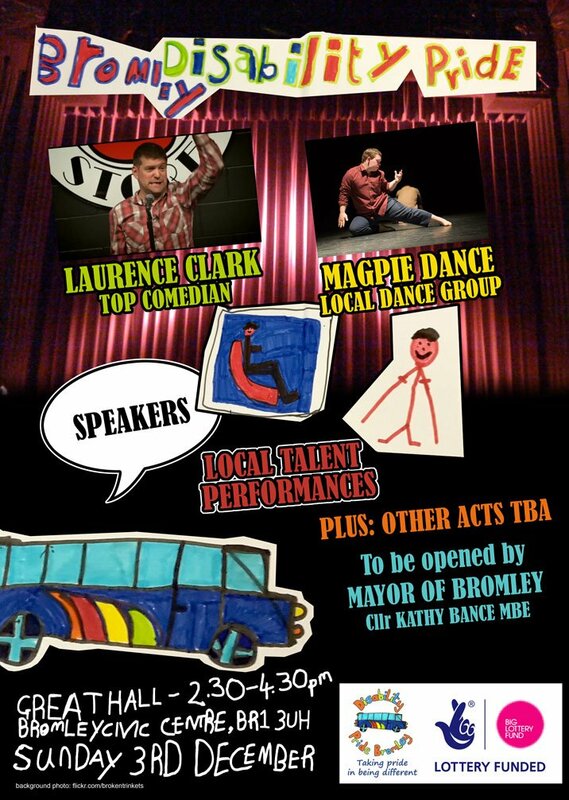 We also want to bring the community together with great food and inspirational acts and performances from Magpie Dance company, Laurence Clark, local talented young disabled people and much more. info@xbyxbromley.com / 0208 650 2102 for more information or to book your place.